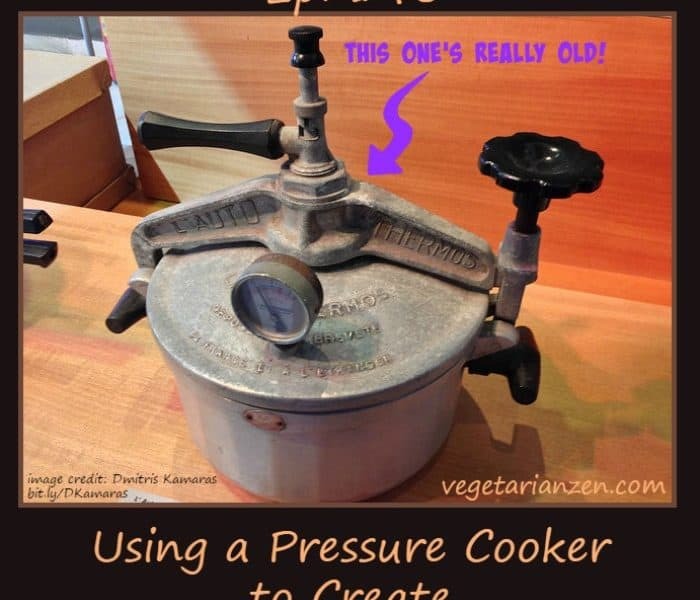 In this episode of the Vegetarian Zen podcast we discuss our latest and greatest acquisition for our kitchen – a pressure cooker. We explain how pressure cooking works, share which cooker we purchased, what we’ve made in it (so far), and our opinions of pressure cooking and our cooker. My first and (almost) only experience with a pressure cooker is making Indian daal. Yummy! Sounds great! I haven’t tried making Indian food, but I’d like to. I use the pressure cooker to make refried beans and oatmeal every week. I also make my own vegetable stock periodically. And I’ve tried some other recipes…soups, risotto, etc. I love it! Thanks for sharing your experience.